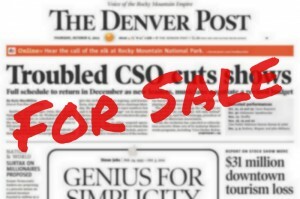 DENVER NEWSPAPER GUILD and Denver Post representatives met Feb. 10. The role seniority plays in layoff order was the only subject discussed. Management explained that they believe the use of seniority as the only factor in layoff order can result in the retention of employees who are not the ones best able to do the remaining work. The Post would prefer to have something similar to the layoff language in the Guild contract with the San Jose Mercury News that uses several factors, including seniority. Guild representatives expressed concerns about using a layoff system other than straight seniority order. The issue will continue to be discussed at a later date. The next bargaining session is scheduled for Feb. 15. The Denver Newspaper Guild Local 37074 is a union of Colorado newspaper employees and employees working for unions and nonprofit organizations in the state. When will this company stop and take a good hard look at themselves! I am so tired of feeling like it is up to the unions to find all their solutions. Hey, John Paton are you reading this? If you are I would like to suggest that you start your outsourcing with all the weekly reporting this company puts together to provide statistics and productivity to the VPs and I would imagine eventually you too. You do realize that most if not all these numbers come from folks who are just as nervous about losing their jobs as the rest of us. So maybe, just maybe they might be a little bit inflated or quite possible padded to make themselves and/or their departments look good. See I would be willing to guess there are far too many middle managers sitting around in their offices creating spreadsheets 40 plus hours every week. Think of the savings you could turn out, in a snap, and get a complete and non bias report from an independent company who has no ties to whether or not they might still have a job next month. A second suggestion might be to have those who are being paid to make the big decisions take a really good look at every expense line item on their budgets and start eliminating those that are what I would call perks or luxury items that this company just can no longer afford. Just keeping the simple basics needed to do business, at least until you can get this business back up and running full steam. I am so againist this outsourcing, I want to keep the business here in Colorado as we are, I am so angry! this subject of outsourcing came up again?. I do not like it. The customers do not like it. I talk to hundreds of customers a month from the other newspapers telling me they liked it the way it was when the newspapers had their own customer service base. I truly like The ABC Always Buy Colorado. We are the BEST. We are not only a department we are family. We all care and have concerns for each other. I know we all do a good job for this company. My customers love me. I love my customers especially the elderly. I know they love the physical paper. For many it is their only source to keep going. They get up and read their papers before they do anything else. If it is not there by six o’clock in the mornings we get word how it just missed up their routines. A lot of these older folks do not have internet nor other electronic devises to read the Denver Post or other newspapers nor do they want to. They do not like talking to a machine nor pushing buttons. Talking with a live representative is the best. They know they will get results and situations resolved by talking to a live person. Talking with folks that care and know the situation is the best results ever. I Love my job and my customers.